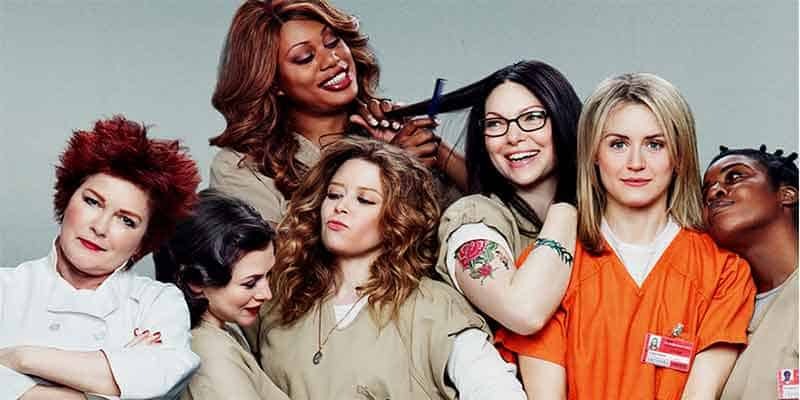 Orange Is the New Black (sometimes abbreviated to OITNB) is an American comedy-drama web television series. 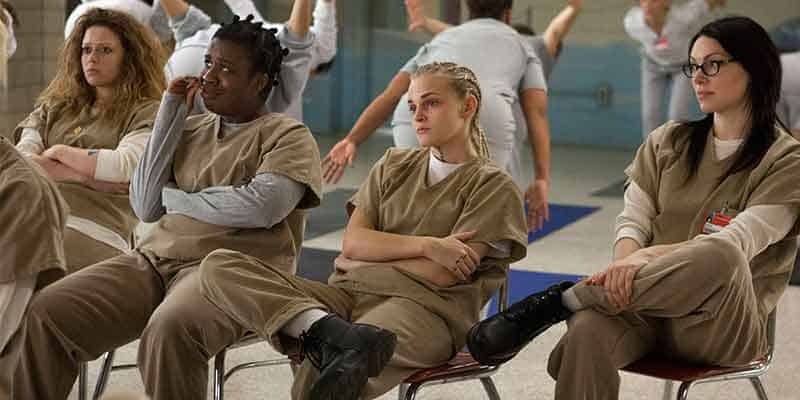 Orange Is the New Black has become Netflix’s most-watched original series. For its first season, the series garnered 12 Primetime Emmy Award nominations, including Outstanding Comedy Series, Outstanding Writing for a Comedy Series, and Outstanding Directing for a Comedy Series, winning three. The series revolves around Piper Chapman, a woman in her 30s living in New York City who is sentenced to 15 months in Litchfield Penitentiary, a minimum-security women’s federal prison. Piper had been convicted of transporting a suitcase full of drug money for her girlfriend Alex Vause. Piper trades her comfortable New York life for one of unexpected camaraderie and conflict in an eccentric group of fellow inmates. Orange Is The New Black is a Netflix Original. The TV show can only be found there. Netflix is an on-demand streaming service. Netflix lets you binge-watch entire seasons of this TV show. This is a very inexpensive way to catch this amazing TV show as plans begin at $7.99/month. To learn more about this service read our Netflix review. This TV show can be found on just about any streaming device on the market. You can stream on a tablet, smart phone, gaming console, desktop, or a streaming device such as a Roku, Apple TV, Chromecast, AirTV, Amazon Fire TV, and more. Here are some of the top devices that can be used to access one of the services that carry Orange Is The New Black. To learn more click on the icons below or read our streaming device guide. 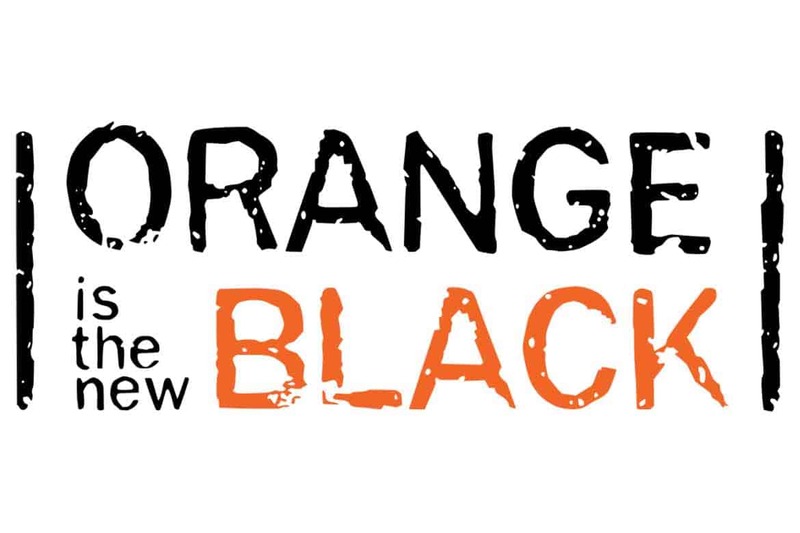 Orange Is The New Black can be streamed using a VPN. A VPN can unlock content from services such as Netflix and can bypass blackout restrictions and geo-blocking. A VPN will increase your online security and protect your online devices. This is very useful in the United States but is even more useful internationally. By using a VPN you can view this TV show while in another country. Not every VPN is created equally so we have chosen a few that we believe to be the best VPNs to pair with streaming services such as: ExpressVPN, NordVPN, and CyberGhost VPN.